The University and three of its schools have attained Athena SWAN bronze awards in recognition of a commitment to improving gender equality. As well as the institution-wide award, it was announced today that the School of Computing, Electronics and Mathematics, the School of Engineering and the School of Psychology had also met the rigorous standards demanded by the Athena SWAN charter. The awards are a validation of the University’s action plan for improving representation of women in higher education and research. The University has been an Athena SWAN member since 2009, an early signatory of the charter that sets out ten key principles around gender equality and representation in academia. In May 2015, the charter was expanded to cover a broader range of subject areas and roles, including professional services, together with commitments to consider intersectionality and support trans staff and students. The awards represent further success for the University, following bronzes for the School of Health Professions and the School of Nursing and Midwifery gained in April this year, and a silver for the Faculty of Medicine and Dentistry (then Plymouth University Peninsula Schools of Medicine and Dentistry) and bronze for the School of Geography, Earth and Environmental Sciences in April 2017. 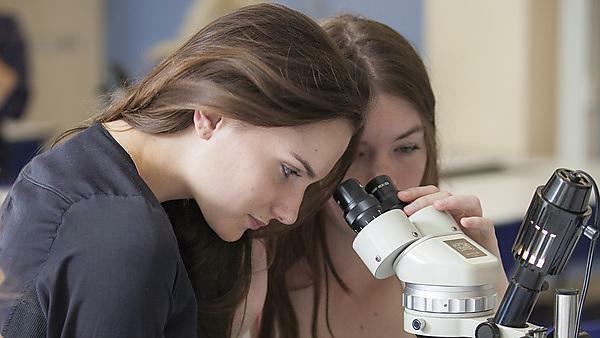 Read more about Athena SWAN at the University. Athena SWAN members sign up to the Athena SWAN Charter. The principles of the charter were expanded in May 2015 to reflect the broader its broader focus on gender equity, and the following ten principles that underpin the work that we're doing and reflective framework we used to review the impact of our work in higher education generally in relation to gender equality. b. the particularly high loss rate of women in science, technology, engineering, mathematics and medicine (STEMM). Whilst different universities face different challenges in terms of gender equality, all Athena SWAN members are committed to these broad principles.